Check out these very fresh personalized lacrosse jerseys going to the Hewlett Seniors in Hewlett New York. Prom pinnies are the talk of this years school event for sure. Check out these digs heading out to the Junior Prom court. Have a safe and fun prom. 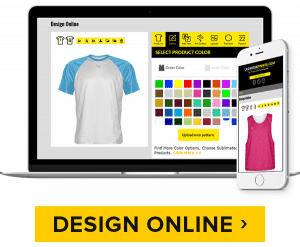 Get started on a design on your custom Field hockey pinnies from Lightning Wear. Welcome to the Jungle. Here are some sassy Zebra Pinnies going out to the girls of class of 12. Thanks for the order. Did you know that we are also he womens basketball pinnies specialist too. Dont worry ladies, we have a racerback pinnie that is perfect for the upcoming basketball season. Customize American made practice basketball pinnies from Lightning Wear. Design in over 1000 different color combinations. Its that time to Customize Field Hockey Pinnies from Lightning Wear. Here goes some black hole pinnies to our friends out in CALI. Thanks for the order. Check out the hump on this one! These peace sign pinnies are hot ones. They are on the way to New London Connecticut. Thanks for the order. Shaka Bra Pinnies are hangin loose on the way to Worcester Massachusetts. Thanks for the order!! These fresh ones are heading to our friends in Baltimore, Maryland. Thanks for the order and be sure to hit em straight. Do they allow these things on the links? I hope so! Sorry for no posts on Friday. To make up for it, I am posting some nice ones. Here are some California Republic Team Pinnies heading out to the West Coast. Thanks for the order. All day long… I was busy and not able to handle my responsibilities as the blog man. Thanks for the All Day Long Pinnies order from our friends at ODU. Congrats to the genius that thought of this Class of 2014 Swag Pinnie – So So Swag. Very nice. Thanks for the order and have a safe and fun school year. I’m all shook up. These Elvis Tuxedo pinnies are makin me shimmer. All they need now is a little bedazzle. Enjoy them and thanks for the order. California Lacrosse pinnies are on the way to the west coast. Thanks for the order. We love the great bear. Take a look at the detail on these Fairfield Stags Pinnies. Thanks for the order. They really turned out nice. Harvard and Yale on the Same Team?